The last three days have been good ones for Otto. He continues to be stronger and is showing no more signs of internal bleeding. Things have seemed to have settled for now. He has been on multiple walks and even stayed out in the healing garden for over an hour the other day! Of course, he enjoyed playing Monopoly Deal with one of the wonderful volunteers. Otto has been allowed to start back with solid foods. We are sticking to one new item a day from a list of easily digestible foods. So far, so good! He continues to drink bone broth, which we feel has been very helpful to his healing process. Today, we were asked if we wanted to take portraits through the Circle of Care organization. Apparently, they do this once a year and often ask to use them in decorating the hallway of 7-3. We aren't sure if we will be up on the wall, however, we had a fun time participating! Glamour shots at its finest!! Thank you to all who have visited this past week. Otto has been in high spirits due to seeing friends and family. We also continue to thank you for your prayers and positive wishes. We really feel as though this has been tremendously helpful in Otto's journey. In addition, we would also like to thank everyone with their sweet, kind gestures - whether it be a home cooked meal, a night out, or a delivery of bone broth, all is appreciated! We are hoping all is well with everyone. Thanks so much for all your love and support! One would say we are moving mountains!! 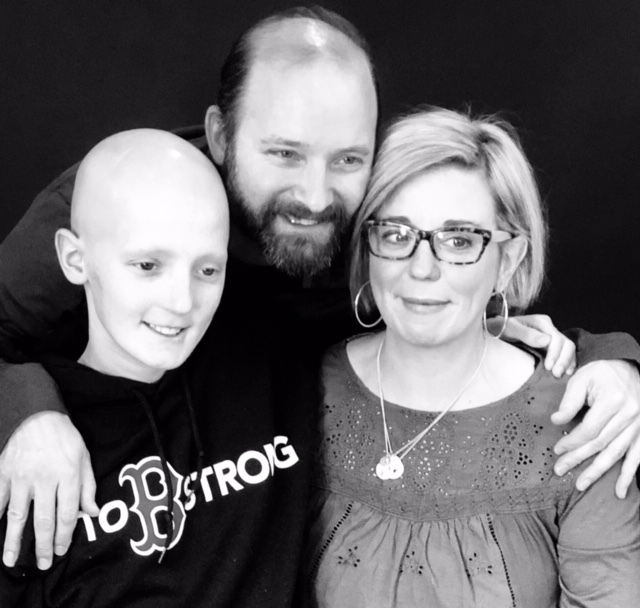 Beautiful pictures of a beautiful family! 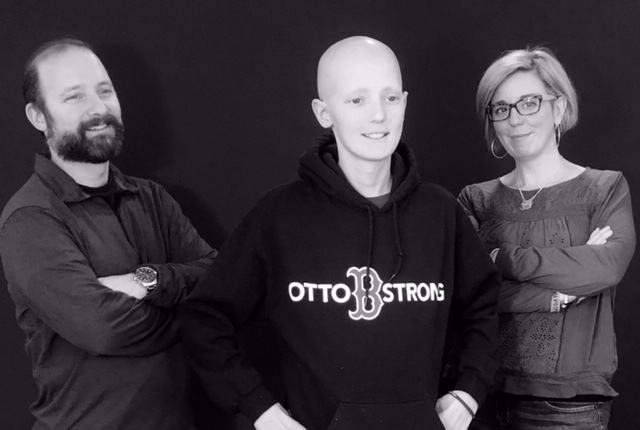 Otto - you and your family have inspired so many people with your strength and courage each and every day. Keep on moving those mountains, kiddo! Sending our love Otto, Leigh, Mark, Tess and Lulu! So as many of you know or are coming to find out, Otto has been diagnosed with AML. This is a type of leukemia. He is being treated at Yale Children's Center and will be here for the next 4-6 weeks. Chemo started last night and we saw minimal side effects. Our boy is a fighter! He's going to make it out of this place stronger than ever!! Many people have reached out and to that we are grateful. We can completely feel the love and support from so many of our community members, who are really like family. For all of you who have said prayers, put Otto's name on a prayer list, etc. - we thank you. We deeply believe in the power of prayer and the wonderful things that can happen due to that. Otto has had a good day today. He's been out at least twice going on nice long walks. We were really happy to see that his lungs were hard at work! It looks like Otto's counts for his ANC level is 0. We were hoping that they were on their way up, but the 300 ANC was a false read. So, unfortunately, that means he has to continue with the no eating, no drinking rule. Tomorrow we are working with the team to see if we will give Otto this particular medicine that will stimulate the production neutrophils, the substance that the body produces to create the ANC. By doing this, we will be hopefully helping his body develop the ANC count over the next few days. This will allow his body to get into the range that would be considered safe for surgery. Surgery is needed to remove the fungus that is attached to his liver. We pray that there are no major side effects from this. So many things have been happening since we last posted. There have been many meetings, discussions, and realizations we have had. A few days ago, Otto started showing signs of bleeding. The doctors have decided it could be one of two things. It could be related to his infection in his intestines or it could be a sign of the fungal infection spreading. After reviewing scans and speaking to the surgical team, the team feels this is related to the fungal infection. The fungal infection is one that is extremely rare. It is also one that is very difficult to treat. We were hopeful that with a building ANC alongside the three antifungals, that Otto's body would be able to contain the fungus. Instead, his body is showing signs of it spreading. The team will send him for another scan towards the end of next week to see if there are any differences in size of the three masses on his liver.